PARIS, Nov 17, 2011/ — The historic Le Bristol hotel will celebrate Stella McCartney on December 3, 2011, from 3:30 p.m. to 5:00 p.m. with its “Fashion High Tea” that will feature the designer’s latest collection. For 55 euros per person, the highly anticipated “Fashion High Tea” offers guests with a one-of-a-kind fashion experience. While models display Stella McCartney designs, guests will enjoy sumptuous pastries and finger sandwiches created by Pastry Chef Laurent Jeannin, and choose from 15 blends of English tea from the finest plantations in Asia, hand selected by the Tea-Drinkers Club. Le Bristol’s “Fashion High Teas” are held on select Saturdays throughout the year to pay homage to the elegance of the Faubourg Saint-Honore. This tradition, which started at the hotel in 2005, has made it a sought-after venue for some of the largest fashion houses, as well as up-and-coming designers to feature their newest designs. The Bar at Le Bristol provides a luxurious and sophisticated environment for these designers, who are able to present their creativity in a traditional yet relaxing atmosphere. Models wearing the latest designs from couturiers such as Celine, Yves Saint-Laurent, Givenchy and Chloé have graced The Bar at Le Bristol. Reservations to attend the Stella McCartney “Fashion High Tea” should be made in advance by calling +33 1 53 43 43 42. 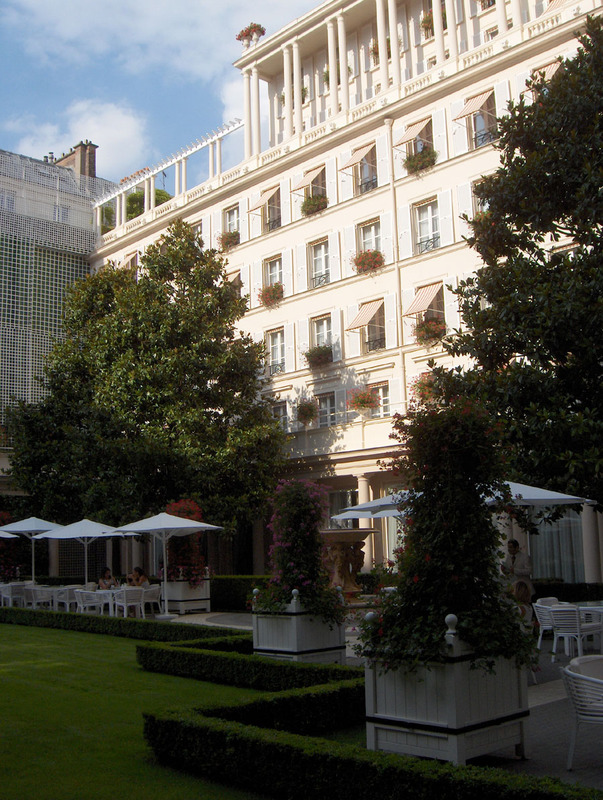 For additional information, please call +33 (0)4 93 61 39 01 or visit www.lebristolparis.com.